Dogs are amazing friends to have around, but they take a lot of maintenance, walking being one of them. When dogs walk, they lay little (or big) pieces of nastiness everywhere — ultimately leaving us to pick them up, and we know that can be very grotesque. So here we have 5 different ways you can pickup or carry those with you while on a walk, and without worrying about the smell or nastiness getting on your hands! So let’s dive right in! 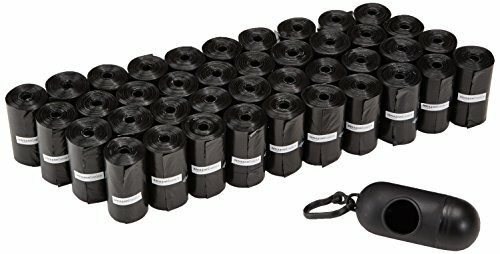 The AmazonBasics Dog waste bags come with a free bag dispenser that can easily be clipped on your dog leash, making it super easy to carry while walking your dog! When purchasing these you have several options as far as quantity goes — 270, 300, 540, 600, 810, and 900. That said, you’re covered whether you need a couple or enough for multiple dogs! These bags are 13×9 inches, so you can be sure there’s enough room for your hand and a decent knot afterwards! 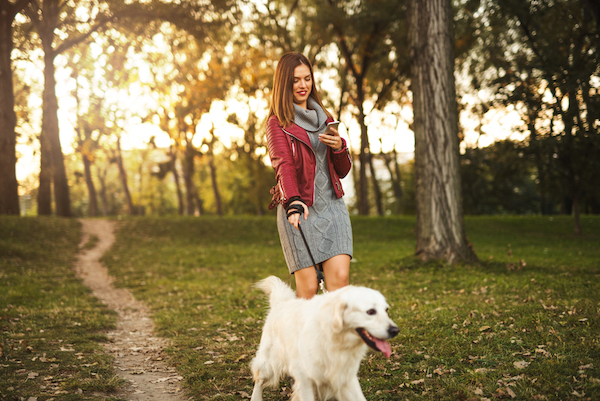 Trying to remember everything you need in your pre-walk routine can be crazy, so they decided a bag dispenser featuring a clip to keep safe on your dog leash was the way to go, making this one less thing you need to worry about. 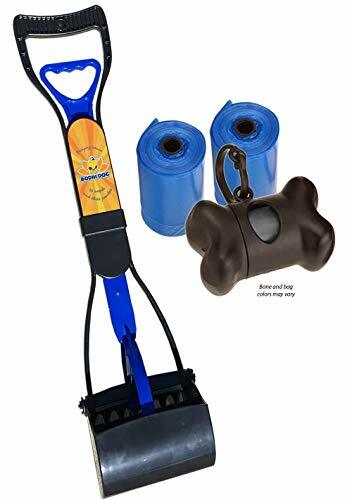 This dog scooper works especially great in the grass, featuring a rake like style. This makes it super easy to pick up any dog poo. This rake also was made with a rust resistant material, ensuring that this rake will stay nice looking for many years to come! This rake also comes in two sizes large and extra large so you can be sure no matter the size of your dog this will get the job done! 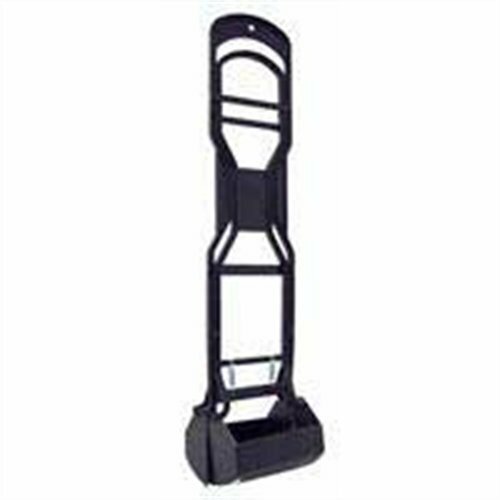 Overall this rake is simple and super easy to use. Having prongs makes it even easier to pick up small dog poo that might not otherwise be able to be picked up and with prongs — it’s super easy to clean with the hose or by other means! Pogi’s bags with Handles makes grabbing them super easy. With easy tie straps, these are super convenient in any situation. These bags are extra large (7 x 14.5 inches) with EPI Technology, which means these are biodegradable and won’t leave as much waste in landfills, keeping the earth healthier one bag at a time. These poo bags are made big enough for even the larger dogs, and thick enough to ensure there are no messes. As a plus they are also great for cat litter boxes. This Complete cleaning pack has everything you need to get started with a new puppy or even to upgrade your poo removal process. 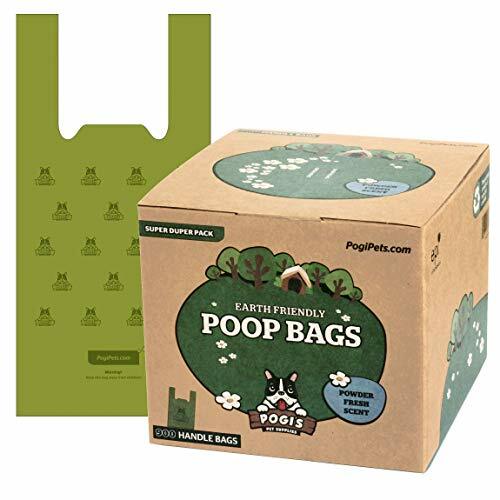 This pack includes a Pooper Scooper in the color of your choice as well as a handy dog waste bag holder and rolls of bags. Bodhi Dog uses premium materials not found in most dog scoopers so you can be sure it’s durable and definitely worth the purchase! This scooper was built with premium grade, lightweight, non-stick plastic making this scooper super easy to clean without too much mess. The scoopers jaws are controlled by two high tension springs for strong clamping control making it easy to pick up any size poop! The Bodhi Dog scooper handle offers ergonomic finger slots and an easy hang hole so you can store this almost anywhere. 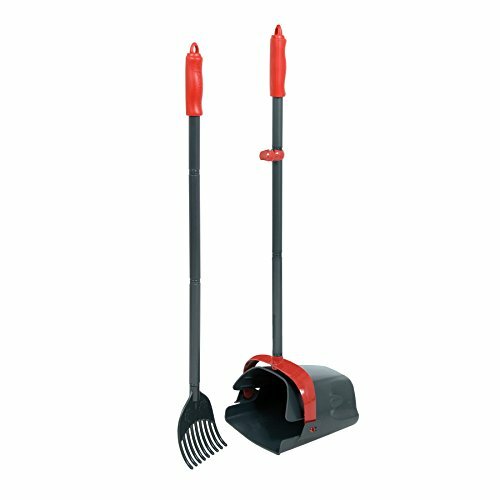 Whether in the back yard or on a walk, at 24″ inches tall cleaning up after your dog has never been easier! this uniquely designed alternating bucket with a teeth pattern leaves space for grass to escape without the waste. Our large bucket scoop is perfect for large dogs or small dogs and it works on grass, gravel, concrete, dirt and many other surfaces. The Petmate Clean Response kit has a large capacity swivel bin so you won’t have to worry if your dog lays bigger poo’s. The ergonomic design helps to eliminate back strain and fatigue during walks, rather than making you bend over after your several mile walk! You can easily utilize plastic grocery bags for easy clean up with an easy attachment piece on the side of the bucket of this scooper. Featuring a comfort grip handle, you can be sure you wont get any blisters using this kit. This rake is optimally designed to pick up on any surface. Clean response snaps together as one unit for easy compact storage making things easier to find or grab! There are so many ways to go about cleaning up after your dog, these only being a few. And we know it can be time consuming trying to find the right one, so here we try to relieve some of that stress by making finding the right one for you fast and easy! Of course, we’d love to hear any recommendations from our readers as well — just leave a comment below!